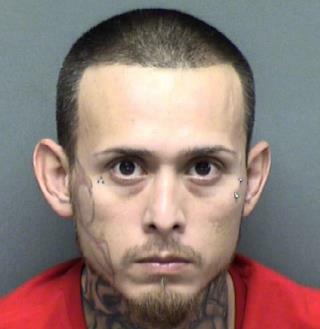 (Newser) – A Texas man and his mother have been charged with evidence tampering, but cops think the true crime is worse: that something terrible happened to the man's 8-month-old son, and that he had something to do with it. "Statements from multiple witnesses unfortunately lead us to believe that King Jay is dead," San Antonio Police Chief William McManus said Thursday regarding little King Jay Davila, missing since Jan. 4, per MySanAntonio.com. The infant's father, 34-year-old Christopher Davila, told cops he left his car running last Friday with King Jay inside when he stopped at a convenience store. He says a woman hopped in the car and drove away with his son. The car was soon found, with no baby or car seat; Davila was charged with child endangerment. If I have said it once, I have said it a million times, those who should have kids, DON’T and those who ABSOLUTELY SHOULD NOT HAVE KIDS, DO and have too many, who do nothing for society, but to be a drain on it. Hard to believe ...he looks like such a nice, sane man.